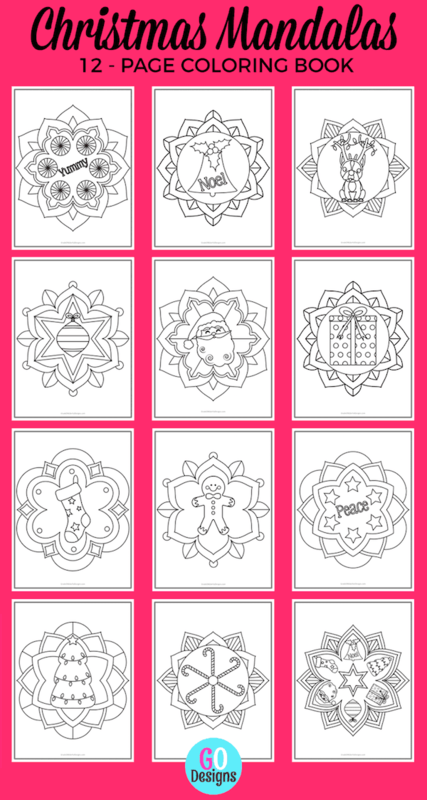 Remember my autumn mandala colouring book? Well I've just made another one, but this time it's all about Christmas. 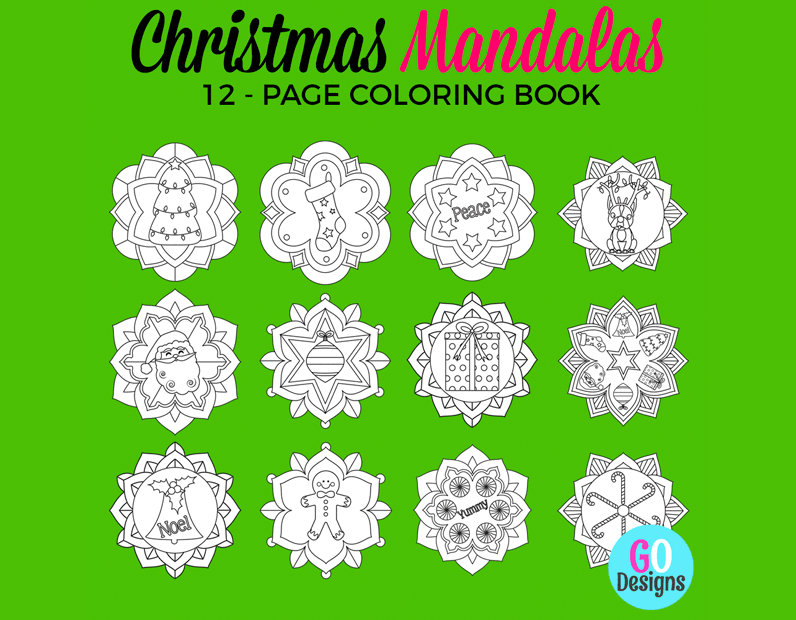 It features a variety of unique and pretty mandalas with a Christmas image in the middle. There's a tree, stocking, stars, dog with antlers and Christmas lights, Santa, ornament, present, bell, gingerbread man, candy, candy canes and one mandala with a combination of Christmas images. I think the colouring pages are perfect for 5 to 9-year-olds ... and maybe younger and older children depending on their colouring skills and tastes. Each mandala is centred on an 8 1/2 by 11 inch page, as you can see below in the red image. You can purchase the booklet in my TpT shop either by clicking the link or clicking on any of the images. 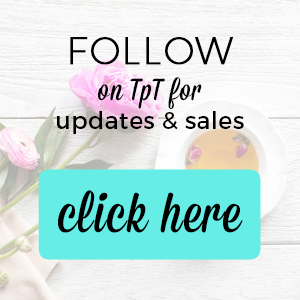 If you prefer ETSY, then click right here! PS If you don't have your December calendar wallpaper freebie, be sure to grab it. It will make your desktop look divine.